Wooden toys are not a thing of the past like some may think! This game board offers the chance to get the family away from the electronics and bring back a new tradition of family game night! 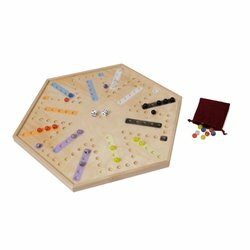 This board offers the chance to play Aggrevation with 4 or 6 players! 4 player board on one side and 6 player board on the other! All game pieces and instructions.